Two chipmunks of the oak at last found a way into the tree house, and would run cheerfully over us, breathing our heated breath; they slept in Blink’s lap for three days of blind violent storms that sheathed the forest in ice, which seemed to make music in the fine blue morning that followed, music too blinding to look at. 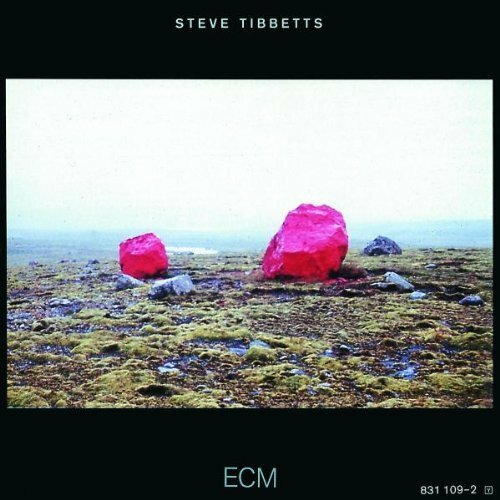 Bless the day Manfred Eicher decided to give Steve Tibbetts his own country in the ECM continent, where he has produced some of the label’s most transportive folkways. On Exploded View, we get a few licks of the fire that would utterly consume us in The Fall Of Us All (if not the other way around). This sits somewhere between that later masterpiece and the quieter heart of Northern Song. “Name Everything” bursts like a freshly lit match onto a geyser-pocked landscape, each beat from percussionist Marc Anderson an eruption of steam that proclaims the earth’s inner desires. “Another Year” is anchored by a glistening acoustic and gilded by that incendiary electric as spiraling internal avenues come to a head in an expansive choral palette. “A Clear Day And No Memories” carries on those vocal menageries with the prominent cries of Claudia Schmidt, who trails her song across an oceanic sky. These quiet into an acoustic aside, alive with rhythmic whispers. The pliant guitar of “Your Cat” is a wonder to behold in the full efficacy of its power, and evidences Tibbetts’s programmatic flair: the music is indeed feline in the way it arches its back, wiggles and pounces, purrs and dreams of the savannah, plays and loves. “Drawing Down The Moon” locks us into the subtlest of grooves, linked by the forward-looking tabla at its core, while “The X Festival” throbs with the voice of history. This superb blend of local and far-reaching mysteries cracks open the dawn, spilling its sunny yolk across the floodplains. The album’s most rhythmically intense moments can be found in “Metal Summer,” which again thrums at the core of something ineffable yet so visceral it can never be denied. Forgoing speech, its finds its voice in the elemental language of grinding flame that is Tibbetts’s modus operandi. Last is “Assembly Field,” another biting trek that ripples across the sands with the slow-motion whip of a sidewinder in search of an oasis it already carries inside, finding solace at last behind the closing eyes of a shimmering acoustic reflection. Tibbetts chooses his grooves and comings together with tact and with grace, so that we never forget the vivacity of their placement. He shines his light through a necklace of motifs and cellular sound paintings. Take, for instance, the short but unforgettable “Forget,” which has all the makings of a universal anthem. It bristles with a fast head nod and electrical break in the production, keying us in to the malleable style of its surroundings. Like the guitarist at its center, it pulls the strings of time rather than plucking them for trite effect. In doing so, it unleashes an entire culture’s worth of footsteps. Yes, another stellar effort from Tibbetts. An interesting tidbit – Claudia Schmidt has some excellent acoustic folky-type releases – my wife and I saw her at the Philadelphia folk festival, playing along side Sally Rodgers. I was quite delighted to find that Steve T used her to add some vocal color. This is also yet another example of how Tibbetts uses incendiary opening cuts to draw one in – think Yr, Safe Journey, this, and Fall of us All – just incredible ways to start an album! I couldn’t agree more. He starts an album like nobody’s business!